We are a modern world of multi-taskers. It feels like a waste of time to do just one thing at a time anymore, especially with so much information and stimulation around us constantly. 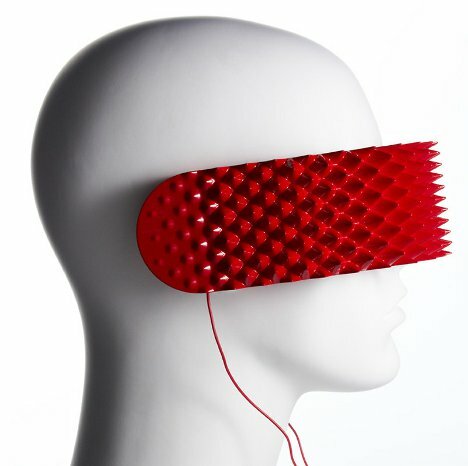 Designer Joe Doucet came up with a way to shut out all distractions: headphones that threaten intruders to leave you be. 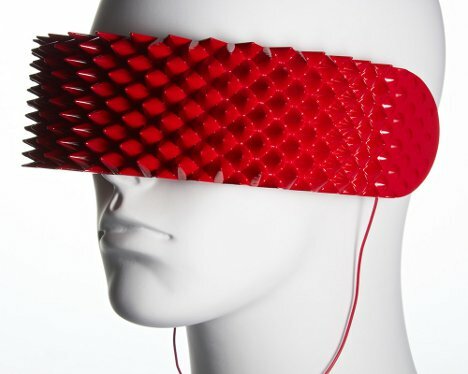 They are called OneSense, and they definitely give off the message that the wearer does not want to be interrupted. According to Doucet, the wicked-looking red spikes are modeled after nature’s own visual warnings. When animals see something like a group of red spikes out in the wild, they know to be frightened. When a potential interrupter sees these spikes on your face, they will think twice about intruding on your peace. 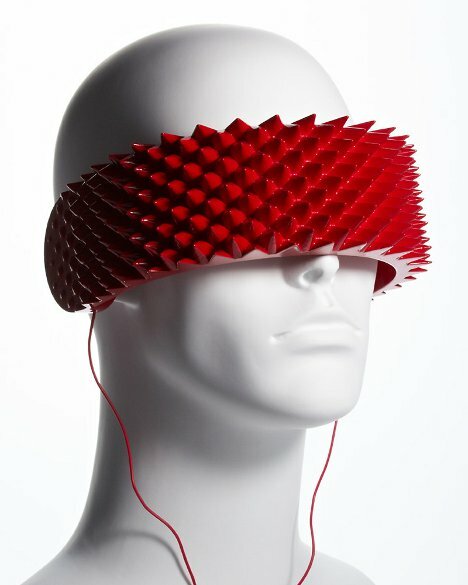 The headphones cover your eyes as well as your ears, shutting off your temptation to read, surf the internet or make googly eyes at your cat while relaxing. OneSense is meant to leave you completely alone with just your music, binaural beats or favorite book on tape. Doucet only produced the OneSense headphones as a conceptual design project and has no plans to produce them, but he says he would be up for it if a manufacturer wanted to make an offer.